You're running alongside trees and rocks, and you're climbing uneven terrain with the blue sky above you and the brown dirt beneath you. What is it that you're wearing on your feet as they glide over the ground? If it's not these Reebok Men's RB4092 Green Steel Toe ... (see full details) (see specifications) #RB4092. You're running alongside trees and rocks, and you're climbing uneven terrain with the blue sky above you and the brown dirt beneath you. What is it that you're wearing on your feet as they glide over the ground? If it's not these Reebok Men's RB4092 Green Steel Toe All Terrain Work Oxfords that are on your feet, then you're missing out. They're designed for outdoor activities like hiking; they can bring you comfort and protection in a pair of men's All Terrain shoes that are built to withstand the harsh nature of the outdoors. These green All Terrain steel toe shoes can keep your feet protected from the hazards nature presents. For starters, the rubber outsoles are designed with specially-placed aggressive lugs. The lugs provide excellent traction and slip resistance, so much so that they receive the mark II low contaminant SR rating oily/wet .40. The outsoles are also able to keep you safe in the event of electrical hazards. They meet requirements for the safety standard ASTM F2413 when they're paired with steel safety toe caps. The steel toes in these men's Reebok green shoes pass the safety toe standard test, which means your toes are protected from drop impact and compression. Safety from slips and falls is also extremely important for outdoor wear where surfaces change with each step. These Reebok EH steel toe shoes are made to bring you comfort throughout every wear. They're built with MemoryTech footbeds. The footbeds bring you long-lasting comfort because they adapt to the natural shape of your feet. As your feet bend and move during walking, climbing, or running, the footbeds meet them for immediate cushioning so they're less likely to become tired, sore, or strained. In addition to bringing you comfort, these men's slip-resistant work oxfords are made tough to face the outdoors. They're crafted with a bootie-design and are made with Ripstop fabric. As the name implies, the Ripstop fabric is resistant to tearing. Beneath the green Ripstop uppers are rubber outsoles. Rubber outsoles are ideal for work shoes worn outdoors because they aren't easily deteriorated or damaged. Altogether, it’s imperative that you have strong safety toe shoes to wear not only while being active in general but especially while you're outdoors. The sound of your feet colliding with the dirt-covered ground over and over brings a smile to your face. The sound reminds you that you're wearing these Reebok Men's RB4092 Green Steel Toe All Terrain Work Oxfords. Both you and your feet will adore them. They're comfortable, well-made, and protective, and you can get them here at Working Person’s Store today. First pair of steel toes ever that has plenty of room in the toe box area of the shoe. Great design! I like steel toe athletic shoes that actually look athletic. 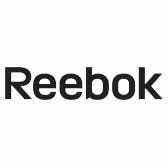 Durable and comfortable Reebok shoes. I would love to see more steel toes and they look really athletic. My husband has to wear steel toe shoes for work. He does not like boots so he sticks with the tennis shoe look. He ordered some from another company and they were not comfortable. (so, he never wore them to work) This was his first purchase from Working Person and he ordered wide for a roomier fit. He wears them everyday. Thank you for the "wide" option and a comfortable fit for him. He works over 100hrs every two weeks. He deserves to have comfort while doing so. Reebok Shoes: Men's RB4092 Green Steel Toe All Terrain Work Oxfords is being added to your cart.